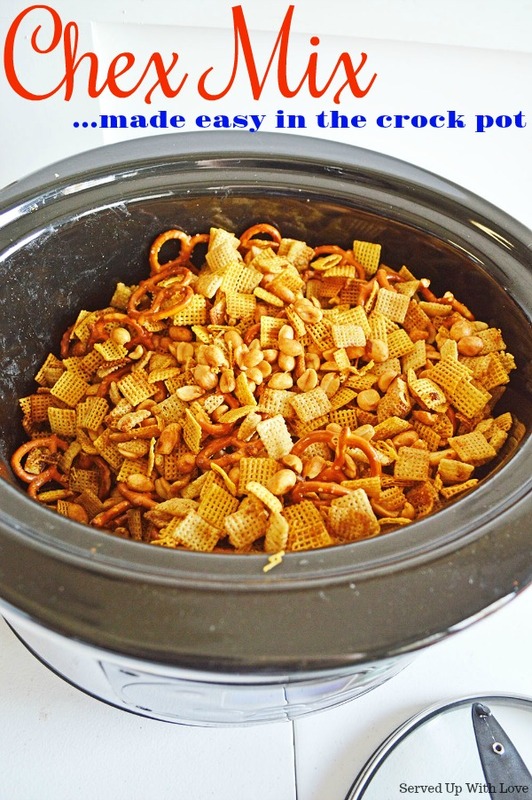 A super easy recipe in your crock pot that is always a crowd favorite. Snacking just got a little more fun. When our son was growing up, his favorite snack was Chex Mix. I mean seriously! Through the years I bought so many pre-made bags, its crazy. It even went as far as buying a HUGE bag at a warehouse club on more than one occasion. 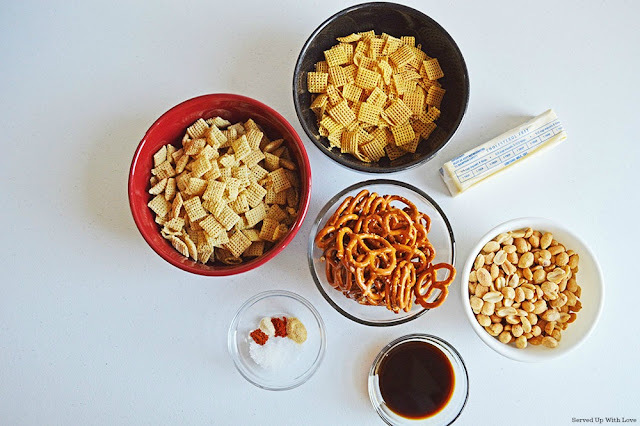 It all starts with Chex cereal, pretzels, peanuts, seasonings, butter, and some Worcestershire sauce. 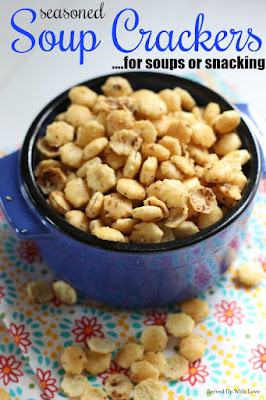 It is amazing how these few simple ingredients come together to make such an addictive snack mix. This recipe is so easy to make when you have guests coming. Just like these Seasoned Soup Crackers, its a great recipe for parties, tailgating, holidays, or just any old movie night with the family. The fun thing about this recipe is you can add some amazing additions to take it over the top. Here are just a few. Do you have any additions that are a must have in this snack mix? We would love to hear how you kick it up. Happy Snacking! 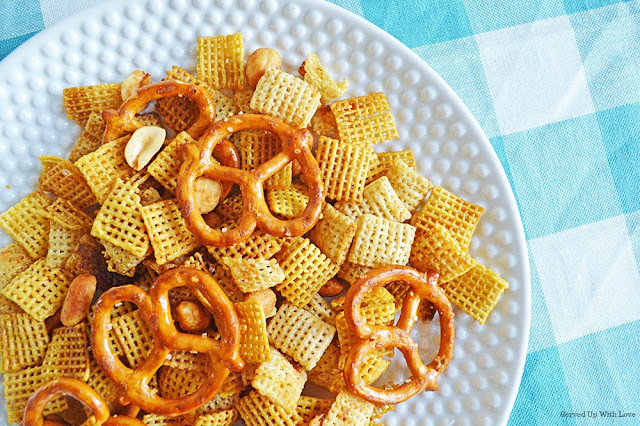 You won't be able to stop eating this snack mix. Super easy to make in your crock pot. 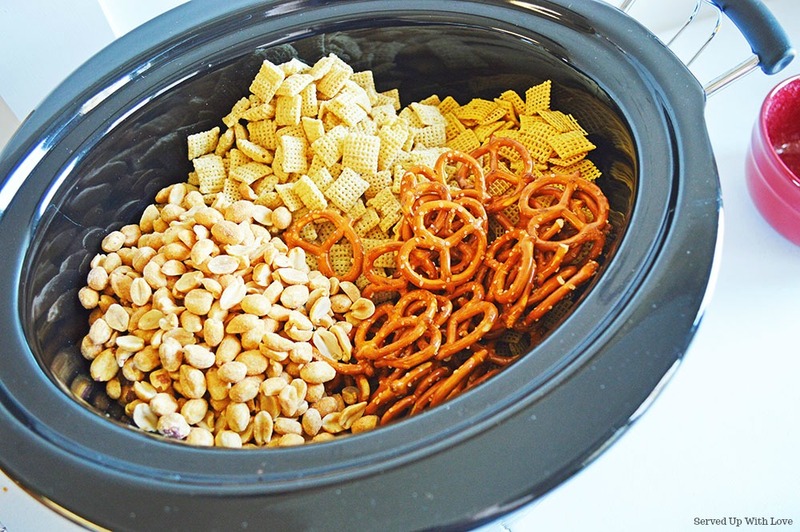 Add Chex cereal, pretzels, and peanuts to a large crock pot. Pour melted butter over the mix and stir well. Sprinkle with seasonings, stir again. Finally, pour over Worcestershire sauce and stir well. Cook on low for 2.5 hours, stirring occasionally to keep the mix from burning. Once finished, lay the mix out onto a parchment paper covered cookie sheet to cool.